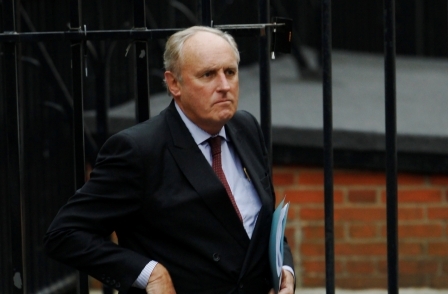 Buzzfeed has suggested Daily Mail editor Paul Dacre is guilty of hypocrisy because his Scottish estate received £60,000 in CAP funding from the EU in 2014. The website says that the Daily Mail is "virulently Eurosceptic" in its coverage. And it notes that in November 2015 the Daily Mail mocked Prime Minister David Cameron's attempts to negotiate a better deal for Britain in the EU when it said in a leader: "Where, oh where, were his oft-repeated demands for reform of the Common Agricultural Policy, which consumes 40 per cent of the EU budget?" Buzzfeed reports that Dacre and his wife bought the 20,000 Langwell estate for £2.45m in 2009. The website also reports that Dacre is building a hydroelectric power station on his estate which "could be eligible for government green energy subsisidies". The Daily Mail has been critical of such subsidies. The Langwell estate can be rented out and offers deer stalking, grouse shooting and salmon fishing 90 minutes drive north of Inverness. A follow-up story in The Guardian notes that Dacre received a further £29,000 in EU subsidies for his main home, a farm estate in Wadhurst, East Sussex. It suggests Dacre has received at least £460,000 in EU farming subsidies since 2011. The Guardian reports: "Dacre’s house in Wadhurst has been dubbed Dacre Towers and is famed for having a mile-long drive." As editor in chief of the Daily Mail, Mail on Sunday, Mail on Online and Metro Dacre and his also an executive director on the board of parent company Daily Mail and General Trust. he was paid £1.5m last year and £2.4m in 2014. A spokesperson for the Langwell estate told The Guardian: “Both Langwell and Wadhurst are working businesses. Langwell is run as a farming, holiday lettings and sporting business which makes a not insignificant contribution to the local economy. Wadhurst is a working cattle and arable farm. “The agricultural subsidies you refer to were available to every farmer in Britain and, in the case of Scotland, included reimbursements for extensive woodland planting schemes (native – not commercial trees) to improve the ecology of this wildly beautiful and remote area. The fact that Dacre's Scottish estate received EU farming subsidies was previously reported by the West Highland Free Press in January 2014. Must be thousands of small businesses needing grants and they award it to SWNS of all people…..
A company with one goal in mind which is profit so why Google has granted them additional cash to pay wages for more staff to pump on crappy celebrity stories is silly.